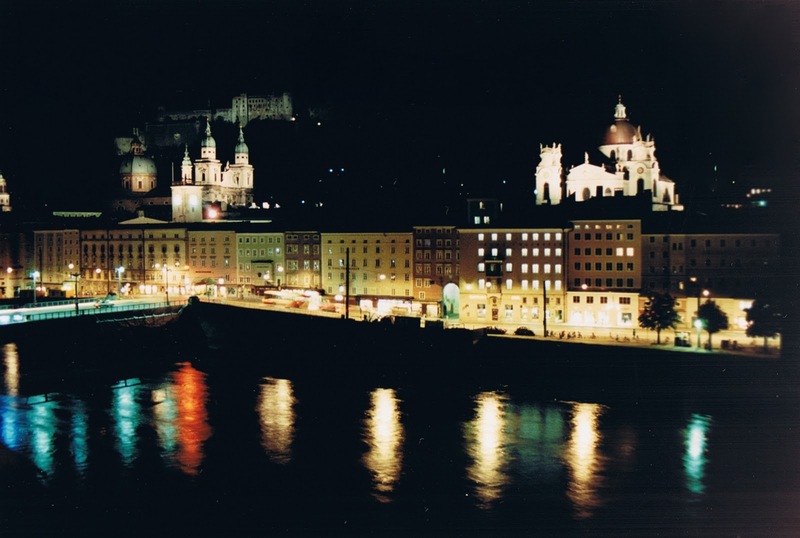 The enchanting city of Salzburg, Austria, at night. It is great to see such a breathtaking view on my birthday. Beautiful picture! Thanks for becoming a Follower of my Blog. I am also now a Follower of your Blog via Google Friend Connect, Twitter and Networked Blogs. Have a good Friday. Beautiful! 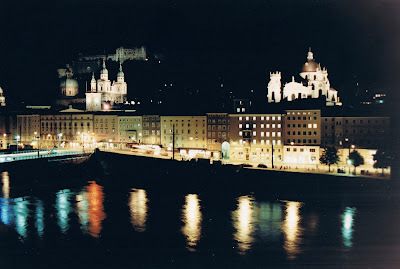 I've been to Salzburg, but never at night. Salzburg looks enchanting! My younger daughter is playing Marta Von Trapp in a production of Sound of Music next week and, as a result, Salzburg has been added to her list of places she desperately wants to go! Lovely photo. I love the lights reflecting in the pool. beautiful! it makes me happy. Have you done The Freulein Maria Bike tour there? We were thinking of doing that maybe next time we are there. What a beautiful view. I really need to spend more time in Austria. I love Salzburg and can't wait to get our little Muffin there some day. Great photo! Wow, how lovely. I've never been to Austria -- this certainly makes Salzburg appear worth the trip!